You may perhaps have heard about the increasing popularity of Skeleton Dance Crew and how we have developed with time as an effective strategy to promote different types of businesses. There are different ways by which our dance crew can help your business to win favours. 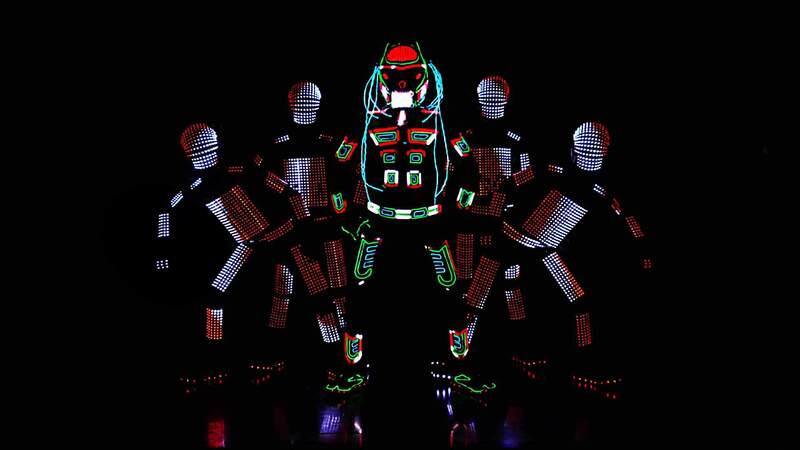 At any event, your company CEO or boss can enter with our dance troupe dressed as robots. We will help you to make a grand entry and ensure that every guest takes notice of what happens on the stage. Your brand is sure to be noticed with keen eyes and your organization enjoys enhanced goodwill. We can customize a grand entry that will be remembered by everyone. 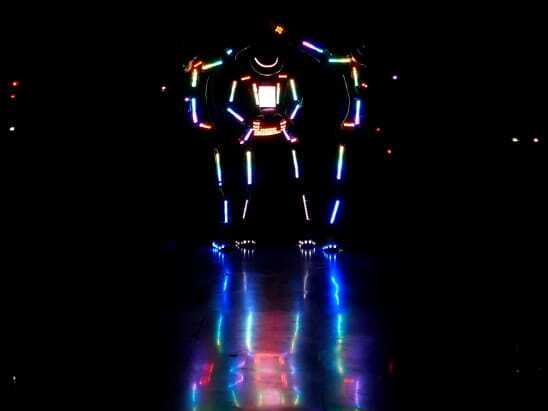 You can have our dance troupe dressed in robot style to give out awards to all the winners on stage. This will be really seen as something special and is favored by many corporate organizations. Our talented troupe can customize the award giving ceremony making it even more grand and special. You may perhaps be an organization that deals in different types of products, be it consumer or targeting the corporate sector like motorbike, cycles, cars, etc. Whatever be it, we can come up with creative ideas to use lights on the products that are displayed on stage and also customize it, to suit your moods and requirements. 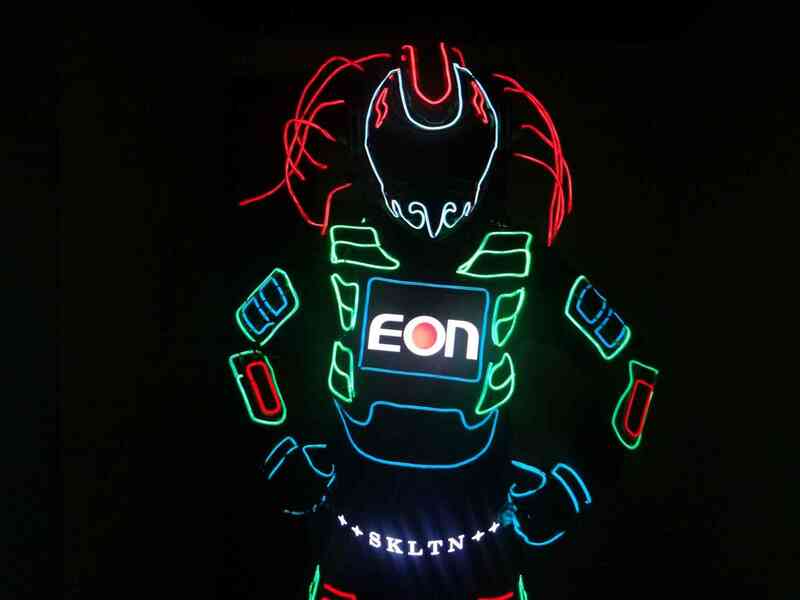 We can also offer jackets having colorful and attractive lights in them. This jacket can be worn by your Boss/CEO. Moreover, the jacket will have your company alphabets and/or logo on it. This will clearly highlight your brand from the crowd. Our customized creative ideas are sure to be appreciated by your audience. This is regarded to be a conventional method to promote any brand of business. It has always lived up to the expectations of entrepreneurs by providing the desired results. We can customize the T-shirts or jackets to showcase your company’s letter, logo or text name that can be worn by your employees to make that special effect. Our drums that we use throughout the show will bear your company’s text / message / logo. 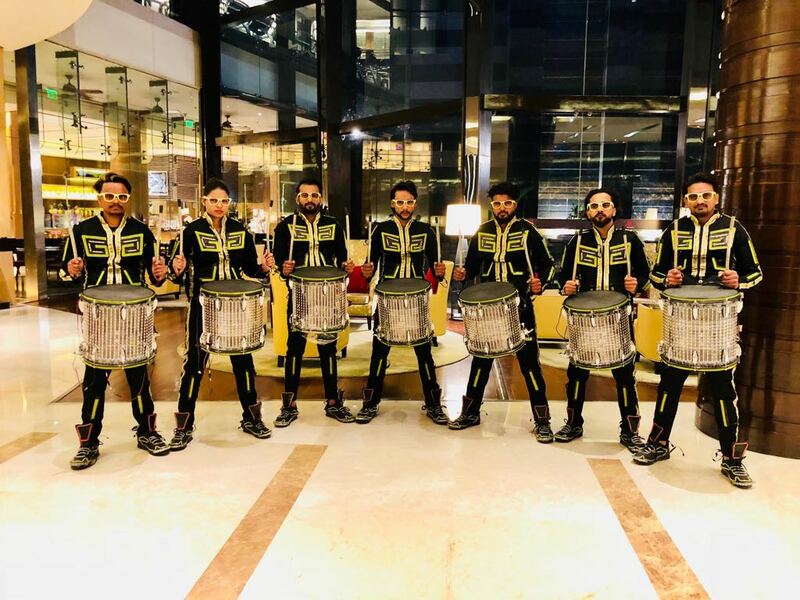 Our talented drummers can accompany your company’s main person / boss / CEO or any other person or thing that you want to be highlighted to the stage. This way, your boss can make a grand entry and have a good impact upon the audience. We do allow customization of the text and entry. We can display your company’s logo/text on a carefully crafted and designed flex board at the end of the event or performance. We will do it in such a manner that your audience will remain spell bound. We also will customize this action to ensure that your audiences are really thrilled with it and get your intended message very clearly. We can also display your products at the end of the event or performance by beaming the laser lights upon them. This way, we can also reveal your newly launched product as well as showcase your brand in an impactful manner. Our customized approach is sure to make your product to be remembered for a long time. This is another powerful way to promote your brand and put it before competition. At the end of the performance or event, we will showcase your logo in a beautiful manner on the LED wall. We can discuss with you on how the entire thing is to be customized to your liking, so that a magical effect is derived. 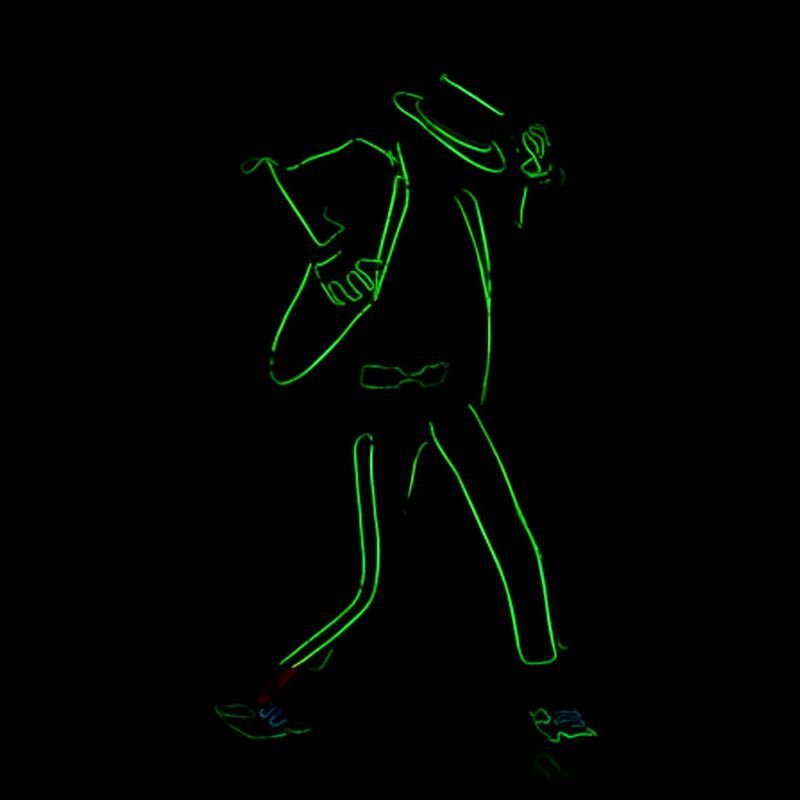 We will make sure that we showcase your brand name / logo in-between our performances using our unique LED sticks. It is indeed a fabulous way to showcase your brand and highlight it in such a manner to be remembered by the audience. Our customized approach can make it all the more interesting and unique.